Anne Dunn, born in 1929, was raised in England and Canada, and, at the age of 12, was asked by her father which parent she wanted to live with. 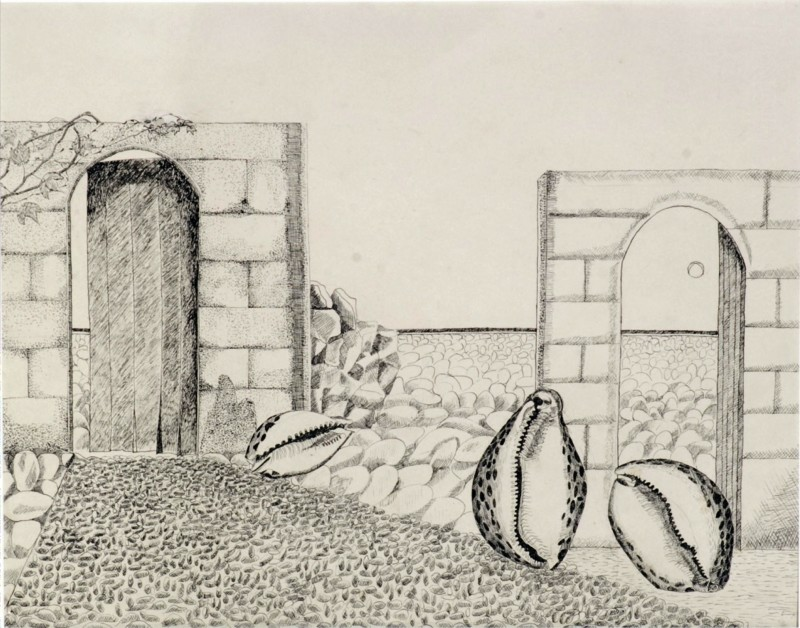 A year later, at a series of boarding schools (she had been expelled twice) she decided to become an artist. 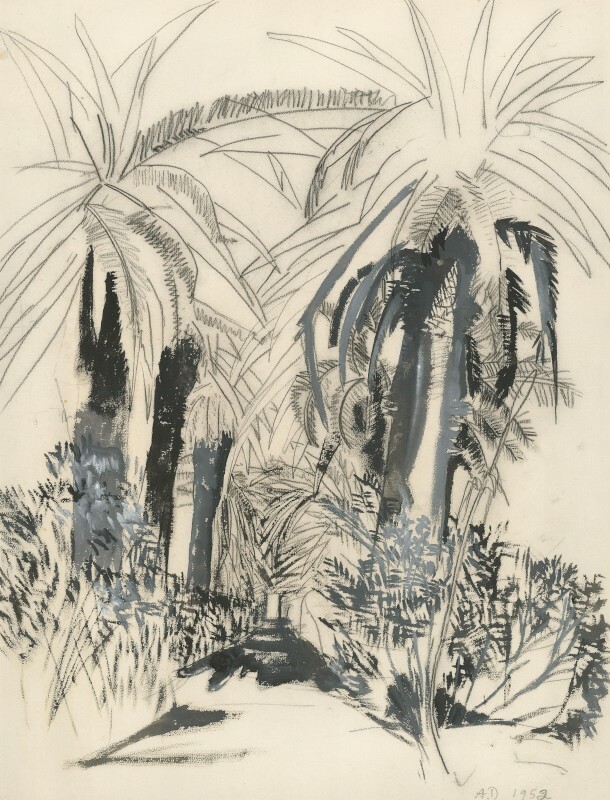 In 1947, Dunn was given a drawing scholarship to Chelsea Polytechnic (where Ceri Richards headed the painting department and Graham Sutherland was an occasional teacher). She was a rather disinterested student, and left in 1949, after less than two years. 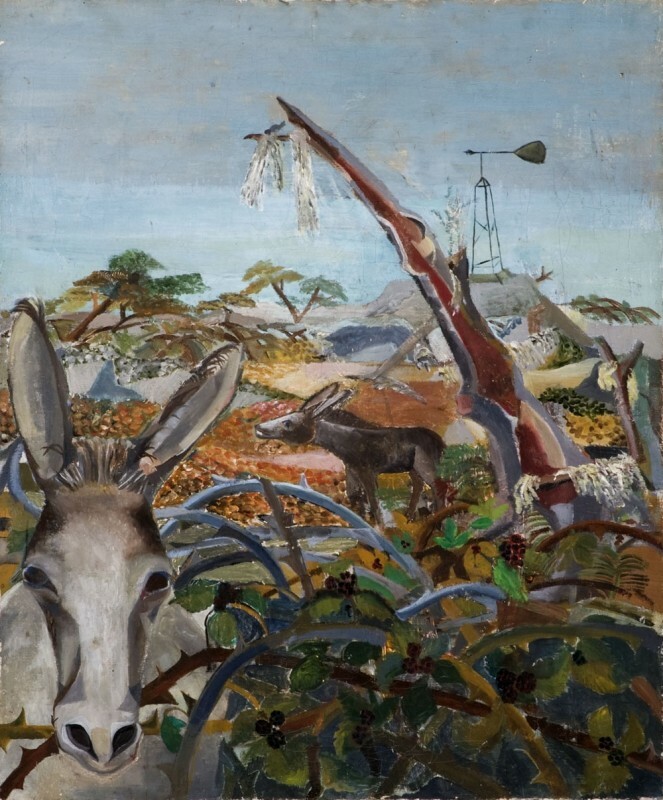 However, her connection to Sutherland would prove to be a useful one, as he introduced her to Patrick Phillips, which led to her first exhibition at the Leicester Galleries (1957). 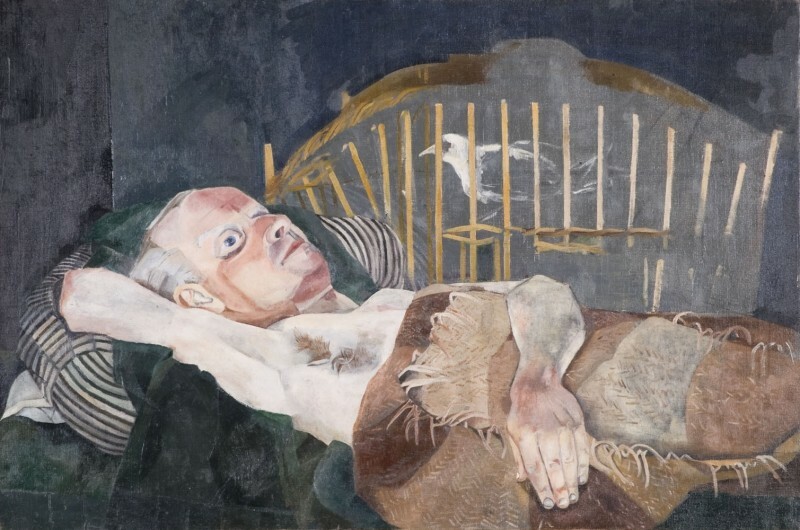 Dunn started an affair with Lucian Freud in 1948, during which time he joined her twice in Cashel Bay, Co. Galway. She produced drawings in heavy conté in this period, clearly influenced in some way by Freud, invested with an uneasy sense of being watched. 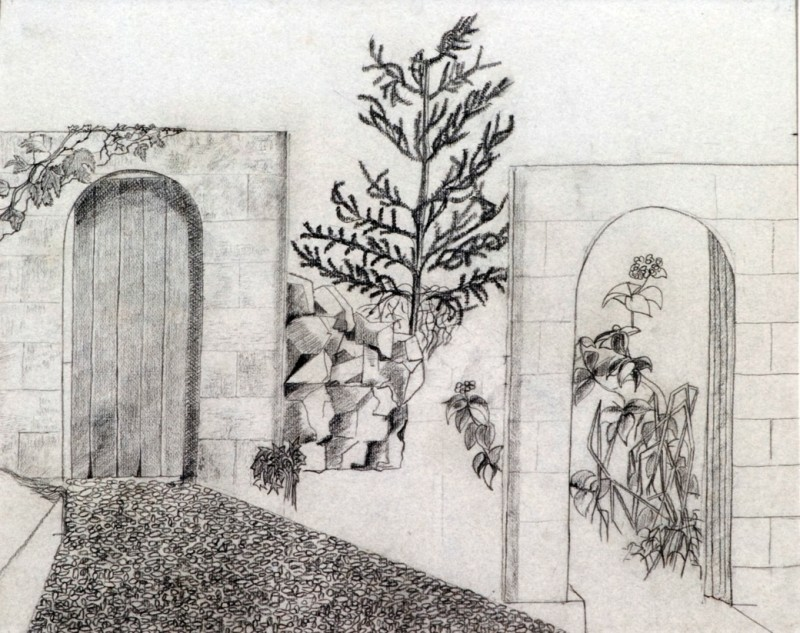 They are representational, but the elements of the drawings are somehow dislocated, unsure of themselves or their place within the space of the picture. Upon her return, a now lost painting of nuns won her a prize at the Chelsea Polytechnic graduation show. 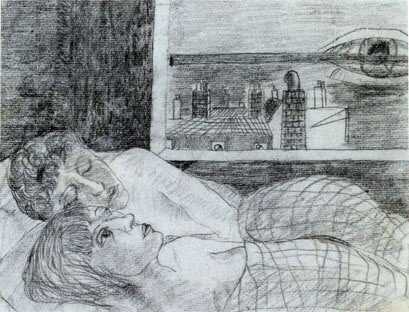 Freud introduced Dunn to her first husband, the occasional artist Michael Wishart, with whom she had one child, Francis. They attended the East Anglian School of Painting together, from which they were both expelled. Their marriage, in 1950, was followed by an infamous three night wedding reception (during which 200 bottles of Bollinger were consumed), and another two days hosted by Dennis Wirth-Miller and Dickie Chopping at Wivenhoe. The couple subsequently moved to France: first to Paris, then Provence (although they also rented in Cashel Bay). Dunn had her first child, Francis Wishart, in 1951. She studied at the Anglo-French Centre in 1952, taught by Henry Moore and, on occasion, Fernand Léger, then attended the Académie Julian. In 1953-54, she also took life-drawing lessons in Paris, and was supported by Jean Hélion. 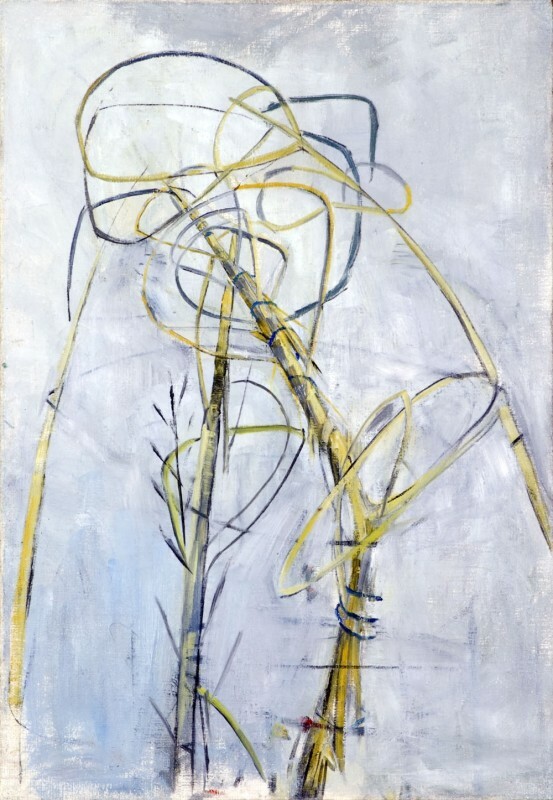 She was aware of contemporary movements and debates around abstraction and figuration, but borrowed elements from both of these, rather than being tied to one of them. 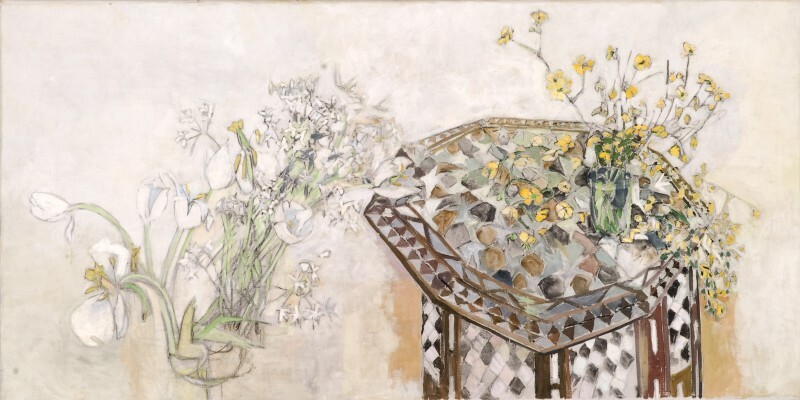 Whilst in France, Dunn painted still lifes and her surroundings, as well as portraits of Francis Wyndham and the man for whom she left her husband, Rodrigo Moynihan. These paintings retained the sinister air of her Cashel Bay drawings: fruit surrounded by wasps, and apparently drowned butterflies. In 1955, Dunn and Wishart visited Algeria, where they witnessed first-hand the violence of the Algerian War of Independence. 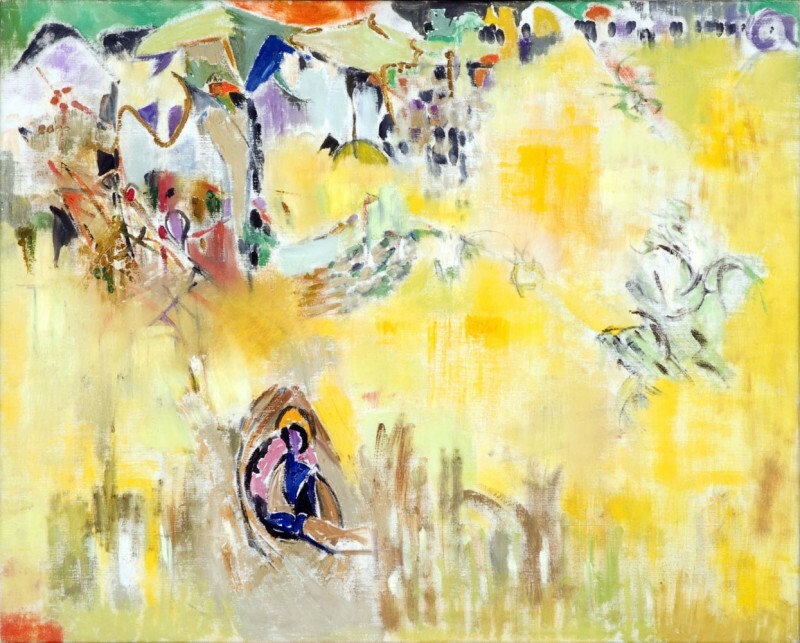 In 1957 she had her first show at the Leicester Galleries (where she exhibited for the next ten years), and settled in France with Moynihan. Marrying Moynihan in 1960, Dunn had another son by him in 1959—Danny. 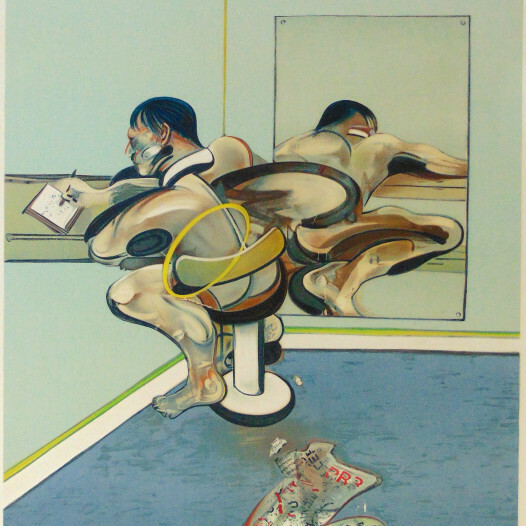 In 1962, she painted the poet John Ashbery, having met him the previous year in Paris. 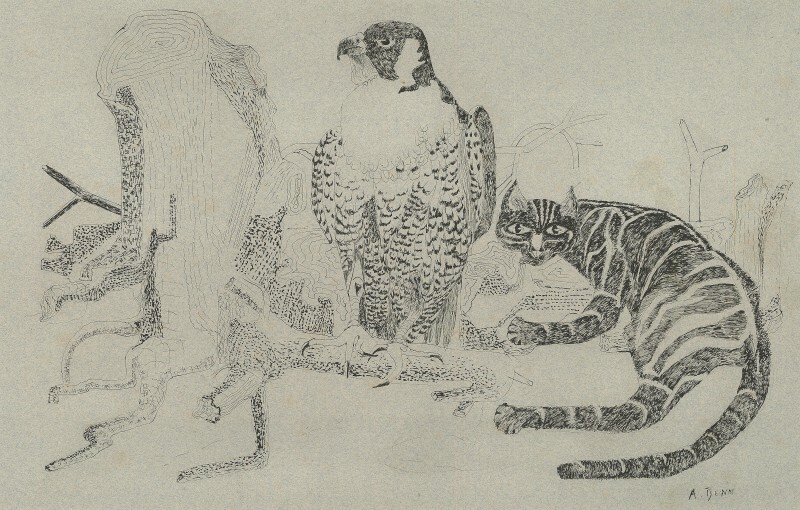 Moynihan, Francis Wyndham and herself co-founded and edited the quarterly Art and Literature, which ran to 12 volumes, between 1964-67, and was a key part of developing new artistic scenes in Britain. 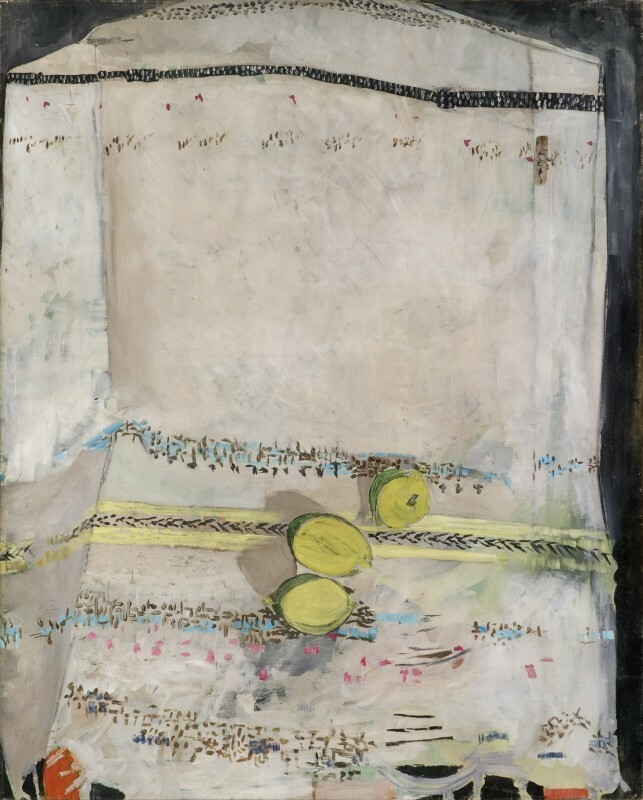 In the 1960s, her life became more transatlantic, with a show at the Fischbach Gallery in New York in 1967, and her first Redfern exhibition in 1972. 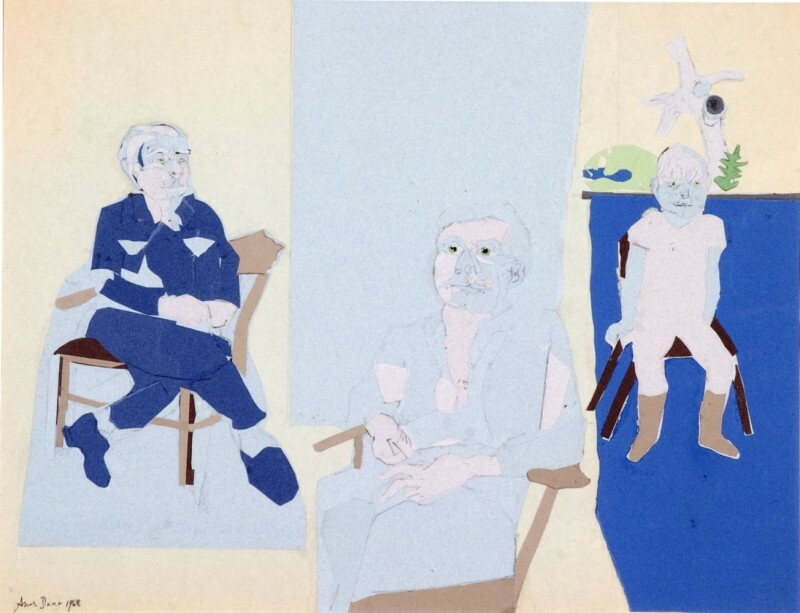 In 1967-68, she experimented with collage - these were shown at the Leicester Galleries in 1969, when she was also given an autobiographical solo show at the Fischbach Gallery. 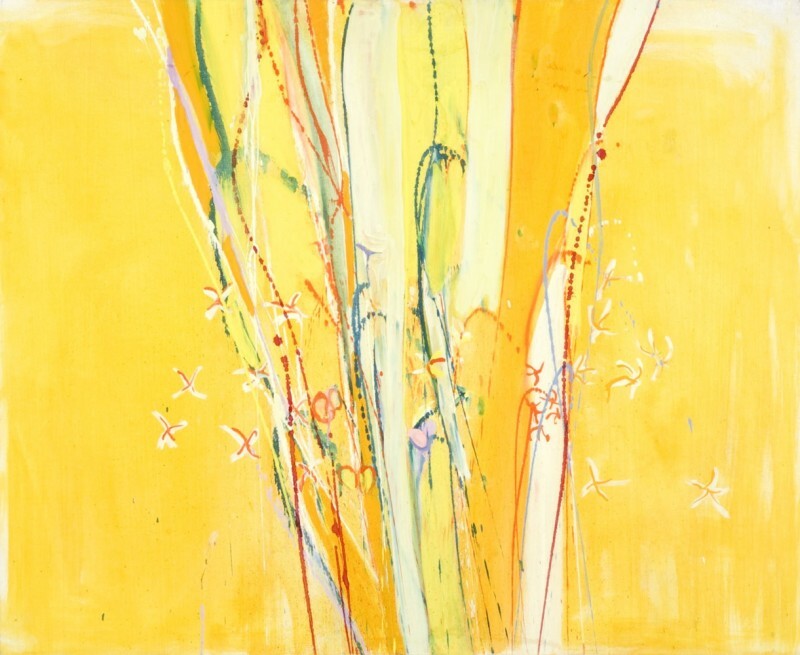 In 1973, Dunn took a lease on an apartment in New York, where she lived largely on her own, made a new circle of artist friends (James Schyuler, Charles Marks, and others), and chiefly exhibited in North America. 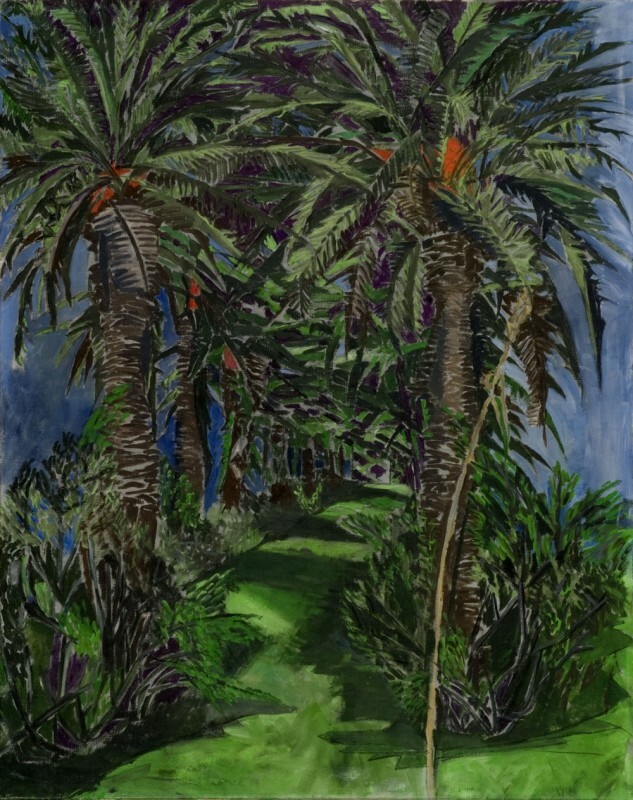 Dunn’s paintings are vibrant, filled with colour, lines invested with movement and shot through unsettlingly with red and flesh tones. Her subjects, seemingly still and calm, reveal something sinister in the everyday. 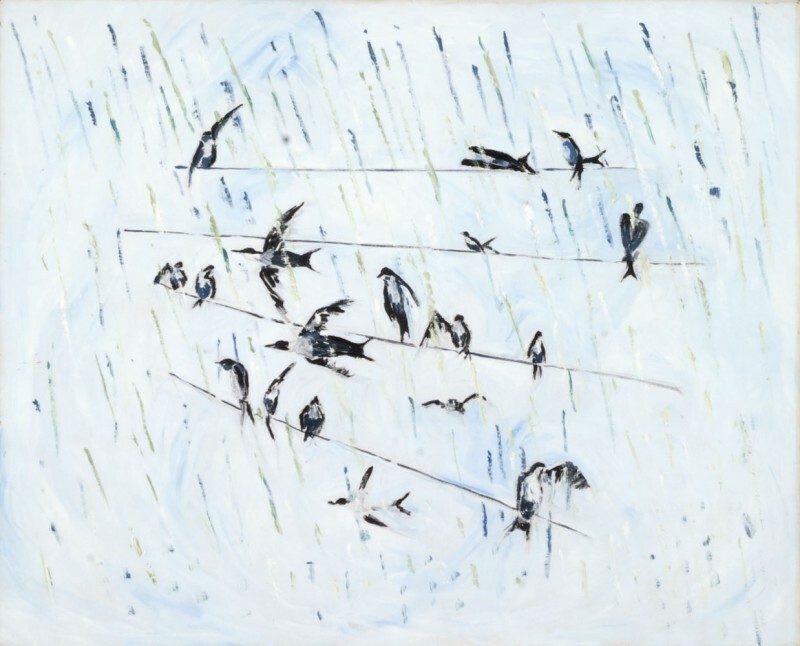 Anne Dunn is represented by the Redfern Gallery.